The Acer Chromebook 15 is a powerful rock star with its immersive Full HD IPS touch display and upward facing speakers that deliver an epic entertainment experience that’s unrivaled by other Chromebooks on the big stage. 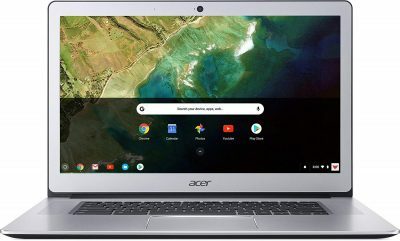 Get the Acer Chromebook 15 CB515-1HT-P39B, Pentium N4200, 15.6″ Full HD Touch, 4GB LPDDR4, 32GB Storage (Certified Refurbished) for only $224.99 today only. This fast and smart Chromebook delivers amazing value that’s worthy of endless encores with tons of existing apps in the Chrome Web Store and now more than 2 million Android apps from the Google Play Store.